CPEC – the signature project of China’s Belt and Road Initiative (BRI) – is attaining new heights. Continuity and expansion in its base are the two elements that have paved the way for the success of this multibillion-dollar economic corridor. 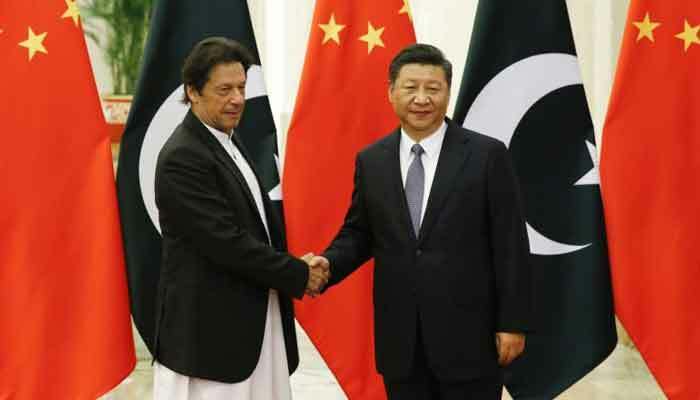 The development voyage was essentially revitalised with the visit of the Chinese foreign minister in September, expanded during Prime Minister Imran Khan’s visit to China in November, and entered a new phase as the 8th Joint Cooperation Committee (JCC) meeting in Beijing was concluded in December. The recent statement of the Chinese Embassy with respect to CPEC is a manifestation of the achievements and mutual trust enjoyed by both countries. During PM Imran Khan’s visit to China, the leadership of both countries has reaffirmed their complete consensus on CPEC’s future trajectory, the timely completion of its ongoing projects and the expansion of mega projects. Correspondingly, the 8th JCC meeting on December 20 concluded successfully, with the resolve “to make CPEC the heart and soul of mutual cooperation and take it forward to the next level” wherein cooperation can be diversified to further trade and industrial cooperation, socioeconomic development, agricultural modernisation, the development of the maritime sector, people-to-people interaction and knowledge-sharing under the ambits of the vision set by our respective governments. The incumbent government accords top priority to the socioeconomic development of Pakistan and primarily focuses on uplifting the less-developed regions of the country, which have been neglected over the decades. In accordance with the same vision, the scope of CPEC was broadened by establishing a separate joint working group (JWG) on “social and economic development”. Its first meeting was held in Beijing on the sidelines of the JCC meeting that prepared an action plan underlining cooperation in agriculture, education, healthcare, poverty alleviation, water-supply management and vocational training. The JWG has identified pilot projects to be implemented with the Chinese grant in less-developed areas of Pakistan, particularly in Balochistan and southern Punjab, the northern part of Sindh, the southern parts Khyber Pakhtunkhwa, and Gilgit-Baltistan. Details that have been revealed so far paint an encouraging picture that highlights agricultural cooperation in areas of biotechnology; research in oil crops, rice, and wheat; and disease-control technologies. In the field of education, it focuses on providing scholarships to Pakistani students and building schools. Moreover, the JWG envisages the construction of vocational institutes in Gwadar and other parts of Pakistan to provide state-of-the-art skills and job opportunities to the youth. The health-sector initiative involves building Gwadar Hospital and telemedicine support to hospitals in Pakistan by means of remote diagnosis and treatment. In addition, China will collaborate to install tubewells and solar-powered water filtration plants to provide safe and stable water for locals. More importantly, the group aims to learn and emulate China’s rich experiences in poverty alleviation by promoting pilot projects at the village level. The socioeconomic development planned under this JWG will be beneficial on many fronts. We should be clear about the fact that CPEC is not a substitute to the Public-Sector Development Programme (PSDP). Nevertheless, a healthy competition has lasted and will continue among the provinces to hold its proper share in the form of various development projects. With further expansions in CPEC’s portfolio, it has now become easier to address a wide range of areas and regions across diverse sectors that impact people’s wellbeing. The implementation of socioeconomic projects will specifically bring people to the centre of economic policies. By setting a clear vision of inclusive development, this mega-regional initiative will prove instrumental in uplifting less-developed areas that were left out deliberately or ignored due to its remoteness. People-centric projects would garner popular support for CPEC, thereby creating a favourable and friendly environment wherein win-win cooperation would jointly flourish. Cooperation in the agricultural sector is another milestone achieved during the meeting of the CPEC apex body. Pakistan and China have agreed to hold the first meeting of the newly-established Joint Working Group for Agriculture in the first quarter of 2019. The agro-cooperation focuses on attracting investment in the agricultural sector by Chinese agricultural and food companies. Investments would be made in Pakistan for input supplies as well as for food production, processing, logistics, marketing and exports in a vertically-integrated way on their own or in joint ventures (B2B) with Pakistani companies. This cooperation will help Pakistan to accrue a maximum share in China’s food imports worth $58 billion. Following the 8th JCC meeting, CPEC has moved towards the implementation of much-needed industrialisation, with the signing of a framework to attract investment in key industries, including textile, petrochemical, iron and steel and automobile. The cooperation will ensure the development of special economic zones (SEZs), including the Rashakai SEZ in Khyber Pakhtunkhwa, the Dhabeji SEZ in Thatta, the Punjab M3 SEZ in Faisalabad, and the IT SEZ in Islamabad. Industrialisation will help overcome the trade deficit and expand the export base to make CPEC a sustainable project. Above all, both countries are working on a mechanism that encourages pragmatic planning and due financial diligence in selecting projects to optimise the cost-to-benefit ratio and ensure that the benefits of CPEC are yielded by everyone in Pakistan. We must all work together to make CPEC a gateway for progress and prosperity under the umbrella of “one corridor, many doors”.